Your source for old and rare components for arcade games, old school computers, and old school game consoles! Are you a collector? Are you restoring an old sytem? Or are you just fixing an old system from your childhood? We carry a variety of CPU and Support chips as well as various RAMs, ROMs, EPROMs, 74xx/4xxx logic, and custom made chips. Check our inventory to see if we have what you need! You may have a computer or game system that isn't on our list, but we still may have what you are looking for. 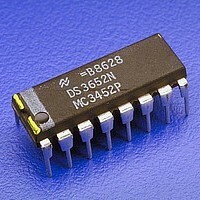 Old systems use a lot of same kinds of integrated circuits. Did you know the Apple II+, IIe, IIc, and the older Atari computers used 6502 CPUs? They are also used in a variety of older arcade games. Same thing goes for RAM, EPROMs, and more! We have SRAM and DRAM memory from 256 bit through 1 megabit in DIP, ZIP, and SOIC (surface mount) packaging. There are even a few types of hard-to-find dual-port video RAM. If you don't see what you are looking for on the website, contact us and we will see if we have it in offline inventory or if we can source it for you. To make it easier, you can search our site. Just type in the generic part number you are looking for (74LS245 instead of SN74LS245N) and click! The results will open in a new window.